I'm still concerned about my yeast and their lethargic efforts... 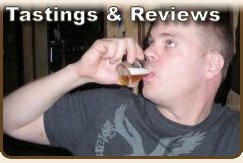 So I'm reaching out to the beertools.com community for advice. Below is what I posted in the forums over there this morning. I brewed a batch of English Pale Ale (From a Brewer's Best Kit) last Sunday. My airlock stopped bubbling on Wed. Or so I thought. Yesterday, Sat, Upon closer look, I was getting 1 or 2 bubbles subtly in about a minute. But here's the deal, there's very little foam on top of the beer in the glass carboy. Shouldn't there be a ton of foam? The funnel I got from my brew supply store that I used to dump the wort into the carboy on brew day had a strainer, so most of the "clumpy stuff" did not make it into the carboy, was that my mistake? Did I short change the beer on some yeast or other important ingredient for the fermentation process? Should I add more yeast or something? Please let me know, THANKS! 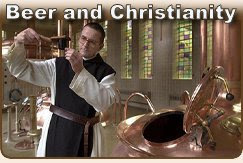 I hope some brew-guru reads that and offers me some sage advice. 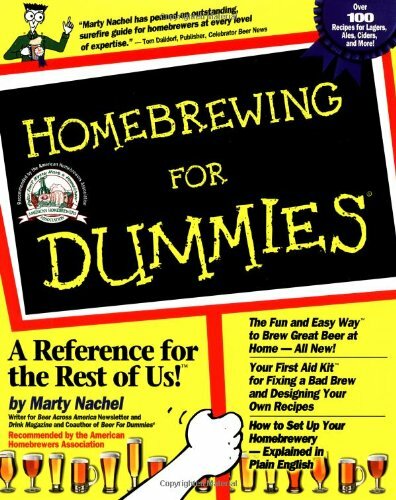 Were the yeast lazy because my beer kit was a 4 - 6 months old? Was it that damned funnel with the strainer? Or was it something else I did on brew day that slapped the yeast into a coma? And what the hell is yeast any way? If you don't want to invest in the wort chiller I mentioned before, here's another trick for cooling the wort a bit more quickly than an ice bath. If you follow the steps, you'll notice that you start with 2.5 gallons of water (step 1), into which you put some malt extract - typically a quart or two (step 3) - and then somehow manage to pour 5 gallons of cooled mixture into the fermentation bucket. What actually happens is that you pour about three gallons of cooled wort into the fermentation bucket, and then fill it the rest of the way to the 5 gallon line with water. Does this work? Any one else have an opinion? Could there be any harm in using this method? I'm guessing that the yeast is probably finished fermenting, but you should just leave it alone for another week, anyway. Common causes of the yeast starting and stopping (or appearing to) are sudden drops in temperature that make the yeast slow down or even nearly stop (for some yeast this is as high as the low 60°'s F), or raises in temperature after the yeast has appeared to stop. This effect of raising the temperature can cause slow yeast to kick into high gear, but usually it is just the effect of decreasing the solubility of CO2 by raising the temperature, causing it to come out and bubble your airlock. This usually doesn't cause much foam or krausen to appear. Have you had some temperature swings? You don't want to add all the solids from the kettle into the fermentor, if you can avoid it, but you should add your yeast to the fermentor directly, not to the kettle, so none of the yeast gets filterred out. 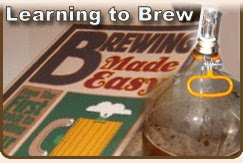 Even if you did strain the yeast, there should be plenty of yeast to finish your beer, it's just less than ideal." That idea of adding the yeast after straining occurred to me, but only after it was too late. Good advice that I will follow next time.